Click the “speedometer” icon when listening to any podcast. 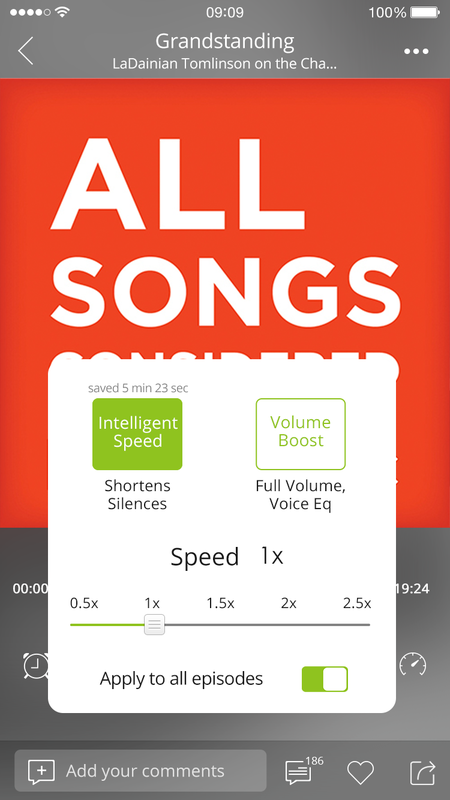 Click Intelligent Speed or Volume Boost to turn them on. If you’d like to apply these settings to all episodes, simply toggle the button at the bottom to the on position.